Cannabis lotion that makes your pain go away like whoa. Great for serious pain and everyday aches, the Lord Jones 1:1 Pain and Wellness Body Lotion is a recommended choice. The cannabis topical market is exploding right now. With so much potential, we are slowly getting our hands into everything! 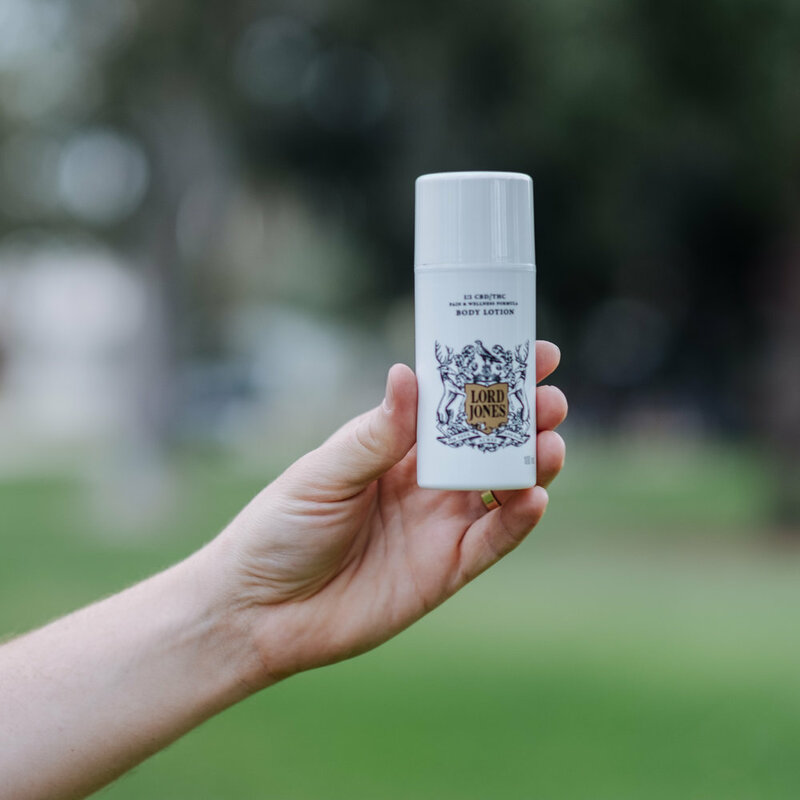 This time around we picked up the 1:1 Lord Jones body lotion. Upon taking it out of the box, we found a modern, all white vacuum pump that held 100ml (3.4 ounces) of body lotion. To start we followed the directions and did two pumps or around 2 ml, then we applied the lotion and let it absorb into our skin. We applied some to our feet and hands, and the lotion felt cool and was white in color. We didn't love the fragrance (it's a bit manly), but overall we liked the experience, especially the feeling. This stuff works! The Lord Jones formula is derived from great cannabis and as they say on their website "harnesses" The Entourage Effect, or when CBD and THC buddy up. For laymen that's basically two different parts of the plant coming together into one harmonious union of better. Most importantly, it makes you feel numb (but not in a pins and needles tingly way, a good numb?) It was super moisturizing, dulled any pain in the areas we applied it, and just plain ole' relaxed us. However, in no way did we feel "high" since the lotion was non-psychoactive. Give it a try. Particularly if you're looking for something to help with pain, we bet you'll really like it.